Android is an extremely flexible operating system. Right out of the box you can do a lot more with it than with other smartphone and tablet OS’s, but a lot of its functionality is hidden away. With that in mind, here are some of the best ways to unlock that functionality and customize your Android device exactly the way you want it. When you first start up an Android device the lock screen is just that- a lock screen. You can change the wallpaper and pick what security measures you want in place- be it a pin, a password or whatever else, but that’s about it. There’s so much untapped potential here and to get a taste of that you need look no further than to WidgetLocker. It’s an application available from Google Play and it lets you add widgets, application shortcuts and notifications to your lock screen. You can also use it to change the style of the sliders and to put custom icons for each action. It’s a powerful tool and all but essential for anyone that wants a lock screen that does more than just unlock their device. Most Android devices come skinned by the manufacturer, which is to say that they alter the look and feel of the standard Android operating system as well as adding or removing certain functions. It’s not just manufacturers that can re-skin Android though, anyone with some programming knowledge can. 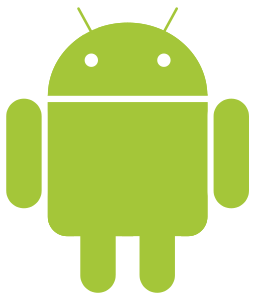 It comes as no surprise then that there is a wealth of re-skinned and altered versions of Android available to download from Google Play. These are called ‘launchers’ and some of them are arguably quite a lot better than any of the launchers that come with a device. For anyone running Android 4.0 (Ice Cream Sandwich), Apex Launcher is all but essential. It takes the basics of Android 4.0 but adds a huge number of customization options on top. From home screen transition effects, to customizable icons and labels, to the ability to assign actions to gestures and a whole lot more, Apex Launcher makes Android slicker than ever. If Android 4.0 hasn’t made it to your device yet it might be worth taking a look at Holo Launcher. This does a pretty good job of replicating the look and a lot of the features of Android 4.0, but it will run on everything from Android 2.2 upwards. Go Launcher EX has long been one of the most popular alternative launchers available. Compatible with Android 2.0 and above, it’s a colourful launcher with loads of themes and features. For a true power house launcher that will wow your friends you might want to consider SPB Shell 3D. It carries a pretty hefty price tag at £9.45, but it produces a stunning 3D display that blows most launchers away. That said, it doesn’t have as many customization options as the other launchers on this list and it may run poorly on lower end devices. 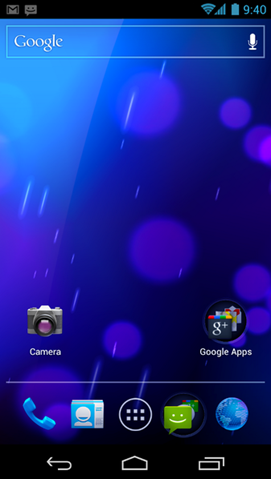 Finally, if you want to give your Android device a complete makeover, take a look at ssLauncher. This launcher can make your home screens look different to the point of not even looking like Android anymore. If you love Android that may not be something you want, but after spending a year or more with the same interface this can be a real breath of fresh air and make your device exciting again. From launchers to lock screens you should be able to get your device looking and performing more the way you want it too now, but there is one thing you still won’t have been able to do anything with- the notifications bar. Elixir 2 is a powerful tool with many built in features. It displays all of your hardware and software information, from battery level and temperature to memory and input devices. It allows you to turn things on and off and change settings all from one screen. Better still, you can use it to make widgets for any of these functions or displays and those widgets aren’t limited to home screens, you can also put them on your notifications bar, giving you a moderate degree of customization for that too. You should now have every significant aspect of your Android software covered. It might take a while to get it how you want it, but all the necessary tools are at your disposal. Evelyn Slater is a freelance writer based near London. Her expertise is in full service marketing and she has previously worked in catering company marketing as well as for a whole host of technology suppliers.